Balasore District Court Syllabus 2018 is provided on this page. The Balasore District Court will conduct the written test on the planned date. The candidates who have registered for the Junior Clerk/ Copyist, Junior Stenographer, Junior Grade Typist posts can check the Balasore District Court Syllabus 2018 from this page. Along with the topics, the aspirants can find the information about the Balasore District Court Jr Clerk, Stenographer, Jr Grade Typist Exam Pattern 2018. 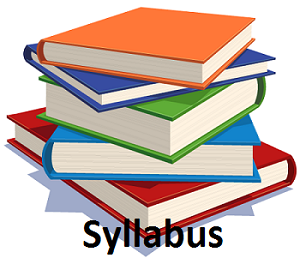 Individuals can see the link to download the Balasore District Court Syllabus 2018 PDF. For the sake of applicants, we have specified all the details regarding baleswar.nic.in Jr Clerk, Stenographer, Grade Typist Syllabus 2018 in this post. Competitors have to go through the below sections which are arranged on this page to gather the contents of the Balasore District Court Syllabus 2018 and exam pattern. After finishing the application process have to collect the Balasore District Court Exam Syllabus 2018, previous papers, and exam pattern. Start your test preparation with the help of the Balasore District Court Syllabus 2018. The Balasore District Court Jr Clerk, Stenographer, Grade Typist Syllabus 2018 will give you the subtopics information in this article. Concentrate on the difficult topics and the revise them which you have the knowledge. Prepare well to appear well in the written test. The interested applicant may also log on to the official web page of the Balasore District Court for more details about the Balasore District Court Syllabus 2018. The time duration of the test is 1 Hour. General Knowledge for 100 Marks. Computer Science Test (Practical) – 100 Marks. Viva Voce Test for 45 Marks. Part I – English for 100 Marks and the duration of the test is 2 Hours. Part II – Type Test for 50 Marks. Part III – Computer Science Test (Practical) for 100 Marks. Part IV – Viva Voce Test for 35 Marks. Part II – Short Hand & Type Test for 50 Marks. To get recruited in the candidates must clear all the recruitment process rounds which are conducted by the authorities of the Balasore District Court. So to get minimum cutoff marks applicants should work hard with the help of Balasore District Court Syllabus 2018 and Balasore District Court Previous Papers. So candidates who are seeking for the Balasore District Court Jr Clerk, Stenographer, Grade Typist Syllabus 2018 can check this page. Here we have updated the syllabus for Junior Clerk/ Copyist, Junior Stenographer, Junior Grade Typist Posts. After reviewing the Balasore District Court Syllabus 2018 aspirants can start their exam preparation on the topic which they are lacking. Revise all the questions to get good marks in the exam. Stay tuned with our web portal Sarkari Recruitment for latest updates. Balasore District Court Syllabus 2018 is available on this page and covers all essential topics in subjects that are helpful in your exam preparation. Only the eligible candidates can get the precise Balasore District Court written exam can get the latest Balasore District Court Syllabus 2018 for the Junior Clerk/ Copyist, Junior Stenographer, Junior Grade Typist Posts along with the exam pattern form the below section of this page. We hope the given study materials may help you to prepare for the exam more effectively. The organization will conduct the Balasore District Court Written Test 2018 across the Odisha State for recruitment of the given positions. Job applicants who had applied for these posts by submitting application forms before the last date are eligible to appear for the written exam.